A University System of Maryland Board of Regents decision to take over the death investigation of offensive lineman Jordan McNair has left questions about whether there will be personnel changes beyond the College Park football team. WASHINGTON — The University System of Maryland Board of Regents’ decision to take over the death investigation of a player that died at practice leaves questions about whether there will be personnel changes beyond the College Park football team or the athletics department. Even before the Friday decision, strength and conditioning coach Rick Court resigned; head football coach DJ Durkin was placed on administrative leave following the death and subsequent ESPN report that coaches bullied players. But one former board member said it’s too early in the probe for decisions to be made on whether officials like President Wallace Loh and Athletic Director Damon Evans should remain in their posts. McMillen was a star Maryland basketball player in the 1970s. He has gone on to become a member of Congress, Rhodes scholar and, later, a member of the University of Maryland’s Board of Regents. Nineteen-year-old Jordan McNair was an offensive lineman for the team who collapsed after a preseason conditioning drill on May 29 and died in a hospital two weeks later. A family attorney says the preliminary cause of his death was heatstroke. The school accepted responsibility for mistakes made in treating McNair at the scene earlier this month. Athletic director Damon Evans said the 6-foot-4, 325-pound McNair completed a workout that involved running 10 110-yard sprints, but had trouble breathing after he was done. The board did the right thing taking away control from Loh and Evans, McMillen said. McNair’s death has become international news and the investigation must be treated very carefully. “It’s extremely important for the good will of the university to just be handling it above reproach without conflicts, independent, and let the facts determine the course of action,” he said. 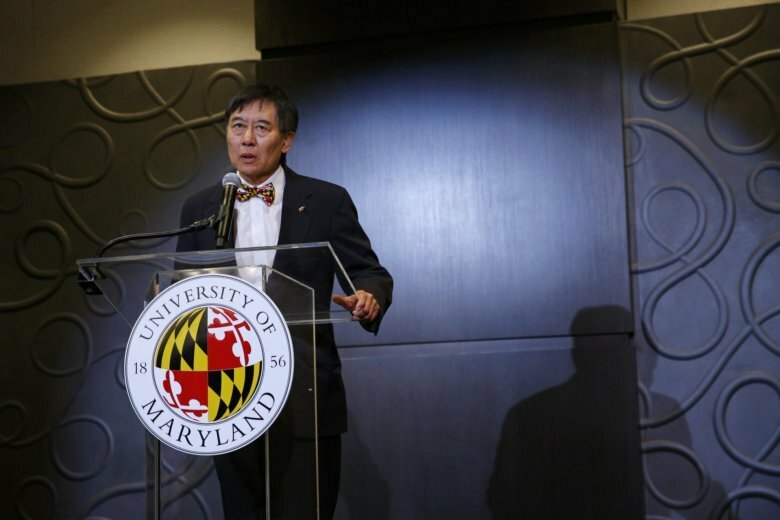 The board’s decision to take over the probe happened the same day it was learned that Loh rejected a proposal to move the school’s training and medical team to the University of Maryland’s School of Medicine, which is under separate jurisdiction of the University of Maryland-Baltimore. The former regent said that during his tenure, the board created an intercollegiate athletic committee, which looked at all aspects of each University athletic departments, including things like finances. The practice is done by other university systems in the U.S., he said. It’s crucial for oversight bodies like the Board of Regents to act as a check on schools, to make sure rules are followed. Editor’s Note: This report previously stated the University System of Maryland Board of Regents’ takeover of the McNair case led to Court’s resignation. The story has been corrected.